Is there anyone out there who can tell me that they aren't busy with their lives? Who have so little to do that they are actually bored most of the time? Maybe. But chances are that most of you (which are probably homesteaders and fiber artists), are like I am, with to-do lists bigger than the day is long. Building the time into my life makes sense. The concept fits well with goal setting, priority setting, and time management. Even so, there are many aspects of homesteading that require flexibility. Weather for example. This morning I was going to harvest the last of my fall garden root crops: carrots, beets, and garlic. After that I was going to help DH work on the goat fence. But we awoke to rain. A gentle rain, a welcome rain, a rain necessary for all the seeds on my "plant something" list below. But also a change of plans rain. Of course another project had to be substituted, but that also meant a change of mental gears, if you will. And with that a sense of urgency regarding the outdoor projects which had to be put off. That is something else I contemplate. Urgency versus importance. Are urgent projects the same as important projects? If for example, I have a pile of library books due today, and a garden full of bursting ripe tomatoes needing to be picked and canned, what do I do? I may have a sense of urgency about those library books, because they will start accruing overdue fines if I don't get them back to the library pronto. On the other hand, when my tomatoes are ready to pick and process, I risk losing them if I procrastinate. Sometimes the urgent thing isn't the most important thing. I often have to remind myself of that. In many ways, building the time into my life is part of the seasonal lifestyle rhythm that I lamented not having in this post. But also, I tend to get fixed on my daily plans so that I sometimes forget that I need flexibility as well as structure. I admit that's something of a challenge for me, but a necessary one. I didn't think about it earlier, but these are some things I do personally to conserve water.I got into these habits when we were under severe drought conditions for a couple of years. Since there are only two of us, I wash dishes by hand. When filling the sink, I used to turn on the hot water until the cold water was out of the line, then turn on the cold water to adjust the temperature, and lastly stop up and fill the sink. It finally occurred to me just to stop the sink first and turn on the hot water. It would take 3/4 of a gallon to warm up, and I didn't need to turn on the cold water. I simply let the running hot water mix with the cold already in the sink. If I am going for straight hot water, such as when I make yogurt, I let the water run into a pitcher while waiting for it to warm up. I use this to fill one of the bird baths, water a potted plant, or dump it into the washing machine for the next wash.
After the yogurt is done and the water has cooled, I dump it from the cooler into the washing machine, or use it for plants. I often save and freeze cooking waters as a soup base, but if not, I let it cool and use it to water plants. Tried to make a soaker hose from an old, discarded garden hose. I punched holes in it with a nail and hammer. It worked, but not all that well. I'll continue to use it until either it proves itself worthless, or I manage to conquer it. We use our outdoor grill a lot, in fact it is part of my summer kitchen. One day we were out of charcoal, so DH collected sticks and grilled our hamburgers over a small wood fire. Tasty! We've been doing that for hamburgers ever since. Found a local feed store which sells a western Carolinas livestock feed. The feed is milled about 95 miles away, from locally grown grains. Perhaps the mill isn't part of my community, but the feed store is. And at least it's grown and milled closer than the national brand I was buying. What a great post! I love your explanation of the difference between urgent and important. So, have you got goats picked out and how are the chickens? Ah, NOW I see how you are doing it... I have subscribed to the New Society Blog. Looks like I'll have some reading to do. I've been doing a lot of these things for many, many years, yet there are a lot of new ideas there. Thanks for the link. As soon as I get healthier, I'll be doing a heck of a lot more again. I used to LOVE hard, physical labor, believe it or not. Always had my hands in dirt or some project. Sweating feels good! Theresa, thanks! I have to admit that its the "urgent" things often bog me down. Chickens are doing great. I need to take some pix and post them soon. For goats, I've been keeping an eye on Craigslist. Mostly pygmy types and Boars around it seems, and occasional dairy goats. I favor milk goats because that's what I had before. Tracy, you're welcome! I agree wholeheartedly, physical work feels good. I've found it's the best cure for insomnia. I do hope you get your health back soon. I'll look forward to your participation. Um, can I borrow some time from you? Just kidding. Got two Ace tomatoes planted in Walls-of-Water this week. Short term performers - hope to beat the frost. Sharon I do hope those tomatoes make it! How do you like the walls o' water? Do they seem to work as advertised? In some corporate workshop I came across the idea of a foursquare grid with urgency on one axis and importance on the other. So you have four cells: urgent & important, urgent but unimportant, not urgent but important, and not urgent, not important. The suggestion was that you spend as much of your effort as possible on "not urgent but important" and none on the two "not important" groups. The rest of the session was on learning to distinguish between the groups and on deflecting requests that are "urgent but unimportant." I've found this a very useful concept, probably the best thing I learned in any of far too many such sessions. Thanks for the water saving tips. Our water takes forever to get hot & I like the reminder that I could just use the excess for laundry if nothing else. PS -- obviously "urgent but important" items need to be taken care of, but (the theory goes) if you deal with things before they reach crisis point you can handle them better. Cynthia, thank you for that! What a great way to organize tasks. One thing I find is that often urgent things have some emotion attached to them, which often hijacks my day so that some important (not urgent) things get put off. Being able to recognize which is which is half the battle. Thanks for taking the time to photograph and type the posts to share with the rest of us. I hope you don't mind, but I took the liberty of promoting your blog on my modest homesteading website. Thanks again, I'm looking forward to future posts! Life Unplugged, I am honored. I took a look around your website; what a great resource. I've added you to my list of homesteading links. Great post and great site. 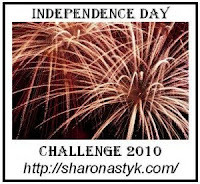 I have been trolling ir for some time but I came out to say that the link on this page to independance days challenge goes to a website about golf. I doubt thats what you going for. Thanks for your hard work and skill in sharring it with us! Hi Nate, thanks for the heads up. Apparently Sharon Astyk either moved or discontinued her website. The new URL owner doesn't have what I was going for, you're correct. I've removed the links.